Ginty Chalk, Head Operational Excellence Deployments, BMGI. 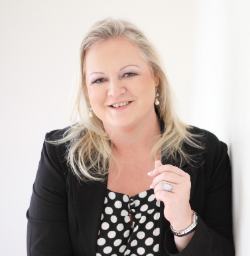 Ginty is an international speaker and coach, tuning her skills in design thinking, operational excellence is as highly sought after as a speciality Trainer and Facilitator. Her strengths include Design Thinking, Innovation, Facilitation, and enjoys developing people in areas of communication, Team Development, Change Leadership and Train the Trainer, Leading High Performing Teams and Picture based learning. She has travelled globally to deliver a number of these programmes. Ginty engages with businesses to really understand the need required to deliver impactful, action-packed workshops that are tailor made. Ginty assists organisations develop new training programs and then enhances existing curricula. She conducts training for trainers and consultant development using the most recent methodologies and principles in learning. She also has experience in a wide range of industries which includes, but is not limited to Supply Chain, Manufacturing, Finance, Fashion, Retail, Motor and Food & Beverage. Ginty presents and facilitates at numerous functions on a variety of topics, and ensures that the delivery and content is customised to the needs of the audience and the required outcome of the session. Sessions are interactive and certainly not boring! Engaging audiences is a key skill that is experienced by every audience. Let Ginty engage you through her ability to energize and captivate you!